What Specifications Should I Look Out For? What Features Should I Consider? Front Or Rear Facing Seat? Or Both? What Safety Features Should I Consider? From my experience every woman wants the best pram possible for their precious bundle of joy. However, deciding what is the best model to buy can be a daunting task, this is mainly due to the vast number of brands and models available to choose from. 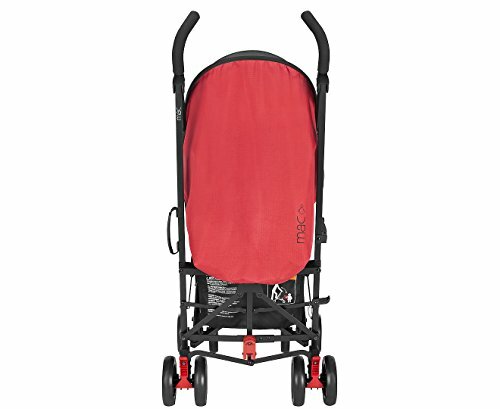 In addition there are also different types of prams, all of which have their own unique pros and cons. With all of these factors its no wonder many people struggle to find the best option for their budget and needs. In our in-depth guide on choosing a baby pram ,we will be sharing all the information you need to know for making a more informed purchasing decision. With all the information at hand you are far more likely to choose the right pram first time around. 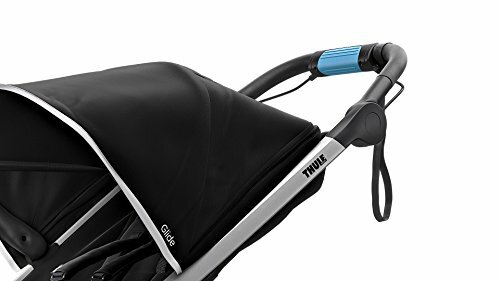 Once you know how to choose the best baby pram for your needs, our top 10 pram reviews include the top rated models for many needs. 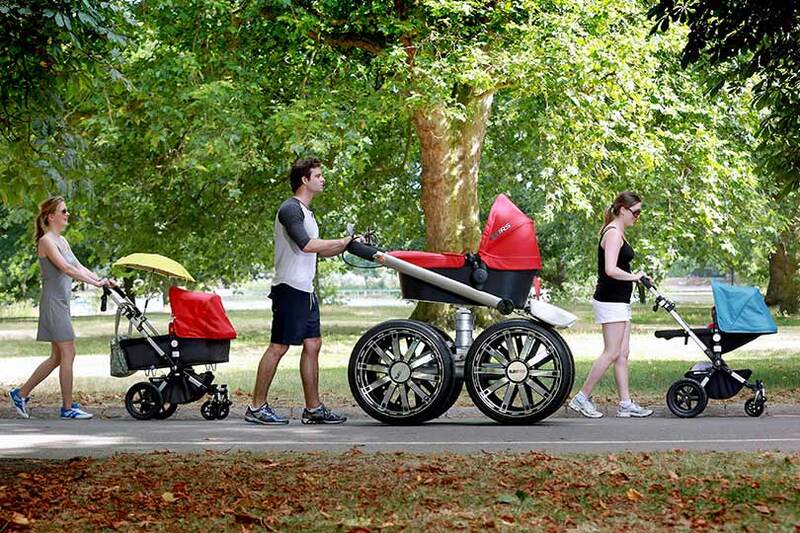 These include budget prams, double prams and even strollers for jogging. When deciding what is the best pram to buy there is an awful lot to consider. Knowing exactly what it is you want from a pram goes a long way when it comes to choosing the right model first time around. Most people probably already know what type of pram they want, but some aren’t fully aware of all the features and specifications to look out for. The following information has all you need to know and will help you make a much better informed purchasing decision. There are a few different types of prams to familiarise yourself with before buying. It is worth mentioning that prams can crossover into other pram types. 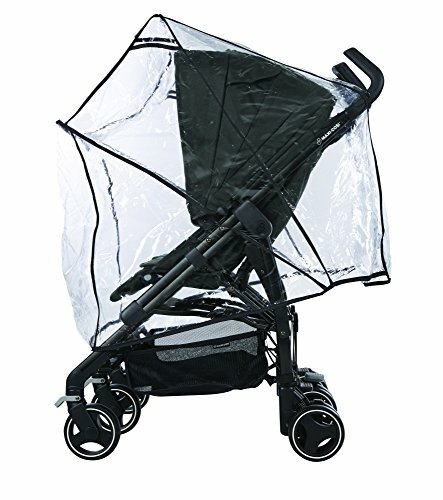 For example a single pram can be a travel stroller or an umberella pram. Single and double prams refers to the number of seats a pram has. 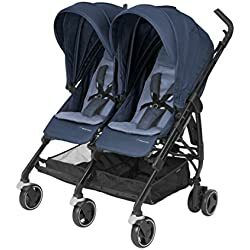 While single prams always have a single seat and sometimes the option for a bassinet to be attached, twin prams have two seats either sitting either side by side or one in front of the other. 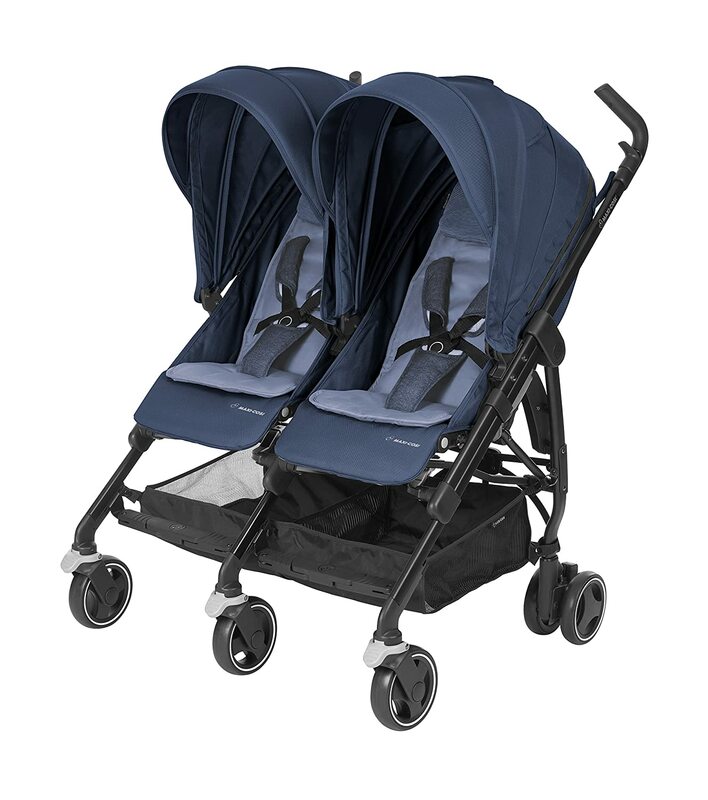 Single and double prams are perfect for everyday use and are very sturdy when compared to lightweight strollers. 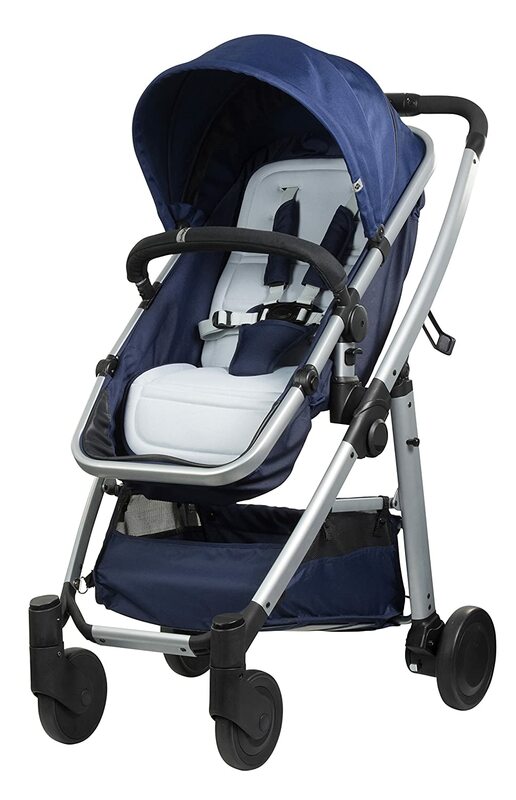 Travel strollers are ideal for when your child has learnt to sit up unaided. When compared to prams they offer a lightweight and less bulky option that is more practical for an older child than a traditional pram. It is worth mentioning that some strollers have a number of reclining positions with some even been suitable for newborns. 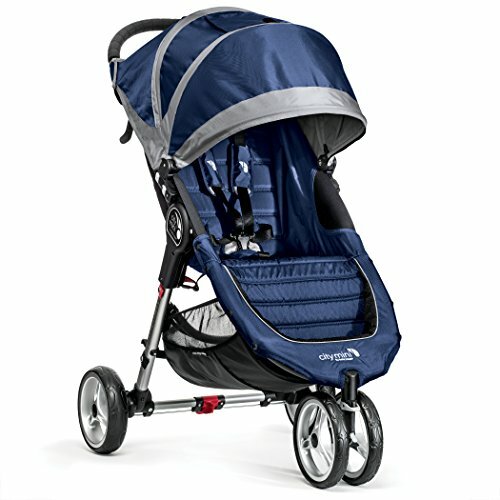 Strollers come with a variety of features depending upon their use. 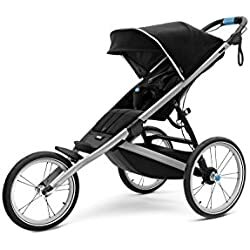 If you are a parent with a very active lifestyle then you may be interested in buying a baby jogger. 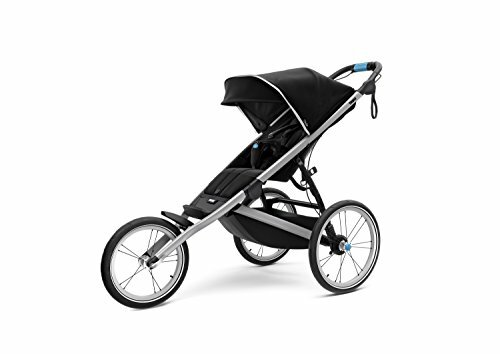 This type of pram is perfect for jogging/running with. 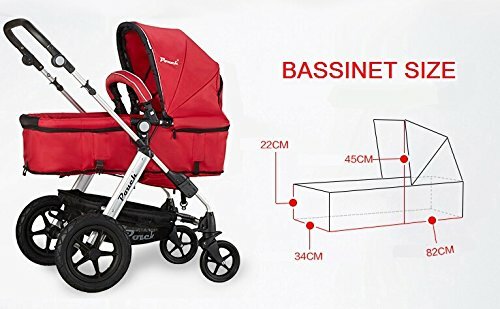 Features that seperate it from other prams are larger wheels that are suitable for most terrain and a good suspension system. 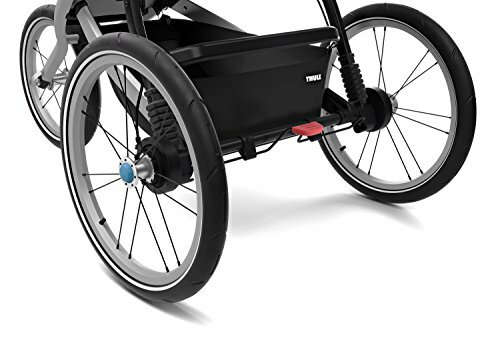 In addition the wheels can be locked in place for when pushing at high speed. The weight of the pram you buy depends mainly on the price you are willing to pay. The more expensive a pram is the lighter it usually is. This is due to the fact that they are made from higher quality materials with an aluminium frame been the main one to look out for. As a good indication of what to look for anything around 10 Kg is manageable. It is worth noting that prams come recommended for different ages. The two main ones are from newborn and six months. A pram that is suitable for a newborn will have a seat that can recline to a flat position. When your baby gets to around six months they have developed enough physically to be sat in a more upright position, this is where the six month recommended prams come into play. 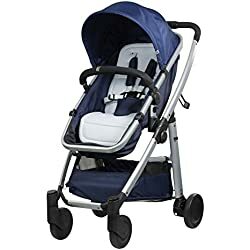 When buying this is something to look out for as its not safe to buy a pram that doesn’t cater for the weight and/or age of your child. Wheels on prams come in lots of diffent sizes and can be made from a number of different materials. The two main types are plastic and rubber. 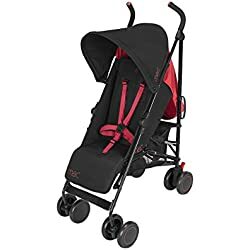 Plastic wheels are long lasting, however, they can be quite noisy and even a pram with suspension can feel the bumps on pavements and roads with plastic wheels. Rubber wheels offer a quieter ride and a less bumpy one. The drawback to rubber wheels is that you can get a lat tyre, it is worth mentioning that most models are solid rubber and don’t have an innertube. 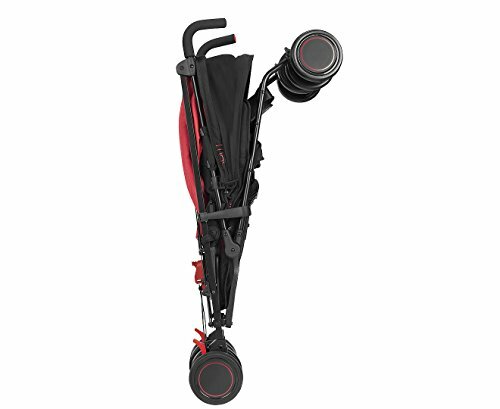 Another feature of the wheels is that some come with a locking mechanism for long distance strolling. 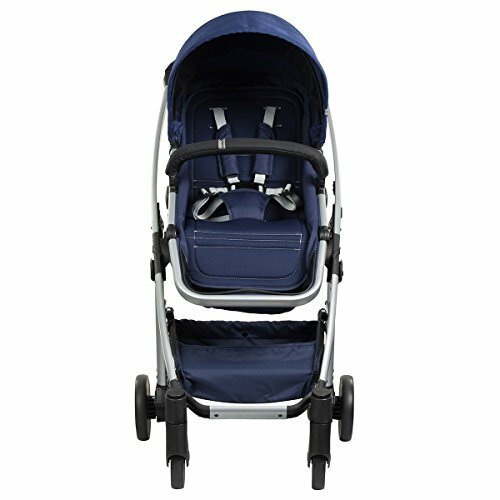 The frame makes up the bulk of any pram so it goes without saying that it adds a large majority to the overall weight. When buying a pram a lightweight model has many benefits, mainly they are more practical than their heavier counterparts. 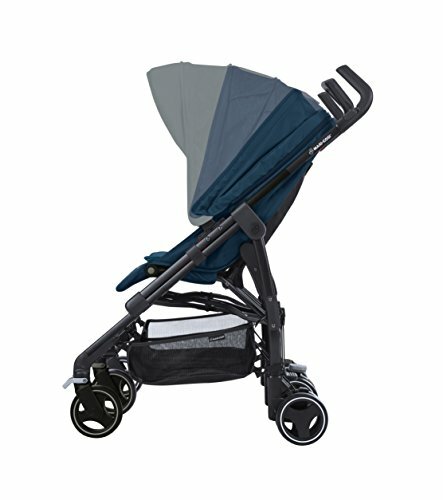 The best lightweight prams are made from aluminium be sure to check this when buying. A pram with suspension will offer your child a more comfortable journey than one without. 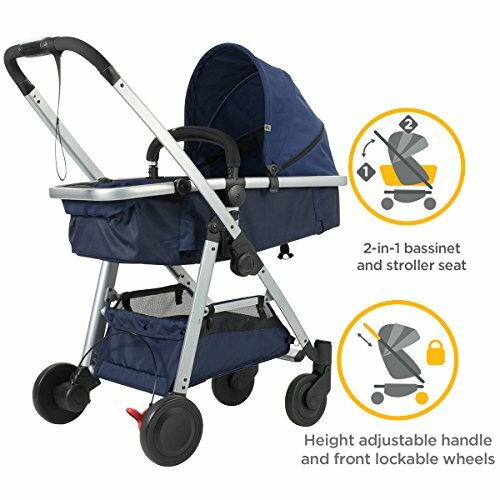 It is worth noting that some prams have both front and rear suspension where as others just have suspension at either the front or the rear. Cheaper models tend to lack any suspension although some do have this feature they are generally speaking not the best suspension systems. 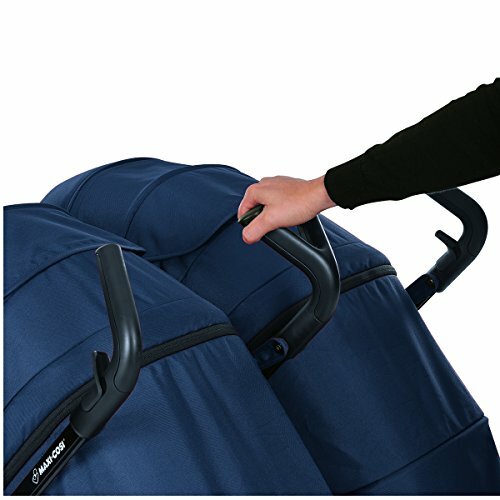 A foldable pram or stroller is far more convenient than one that doesn’t fold up. 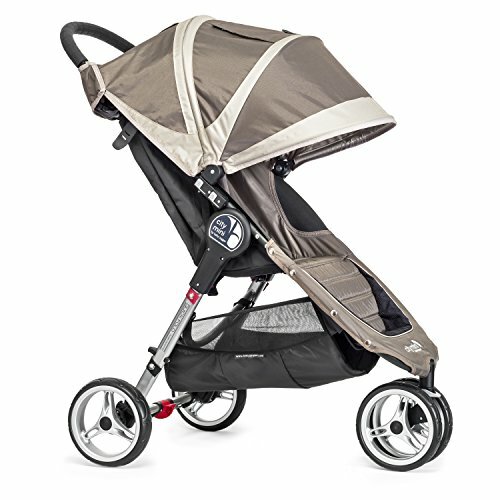 Pram brands know this and most models have a folding option as a standard feature. However, some baby prams have a better folding mechanism than others. This is something worth remembering when reading pram reviews. If you are going to be out and about by yourself most of the timne then a pram with a one handed folding mechanism is the best option. This allows you to hold your child in one hand while taking the pram down. There is plenty of information about the pros and cons of the direction your baby faces when in a pram. Nowadays most prams have a reversible seat. This allows you to have your child facing towards you (parent facing) or forward facing outwards and looking at the world and everything that is going on. 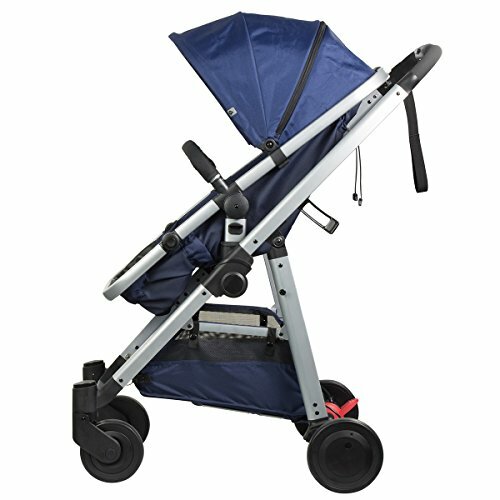 If you are buying a budget pram it is worth looking to see if it has a reversible seat as some budget models lack this feature. There are two types of harness that come with prams these are either a 3-point harness and a 5-point harness. A 3 point harness fits around the legs and crotch area and is more suitable for toddlers. A 5-point harness will keep your baby securely in place with straps that go around the legs and shoulders. A brake on a pram gives piece of mind to any parent. There is nothing worse than seeing your baby and pram rolling down the street because you forgot to use the brake. Although this is unlikely to happen to most parents, it does still happen. Its better to be safe than sorry, make sure your pram has a brake and use it! 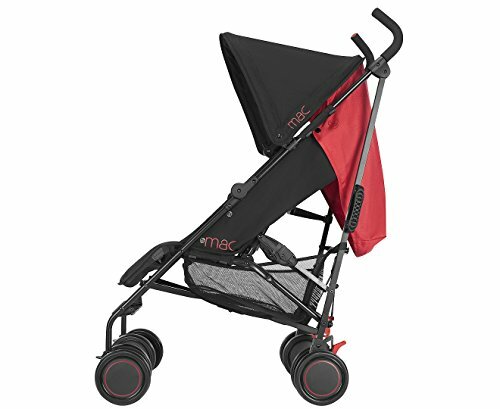 The Maclaren M-01 is an incredibly lightweight and compact pram/stroller that is suitable for a newborn baby, which is a rarity. 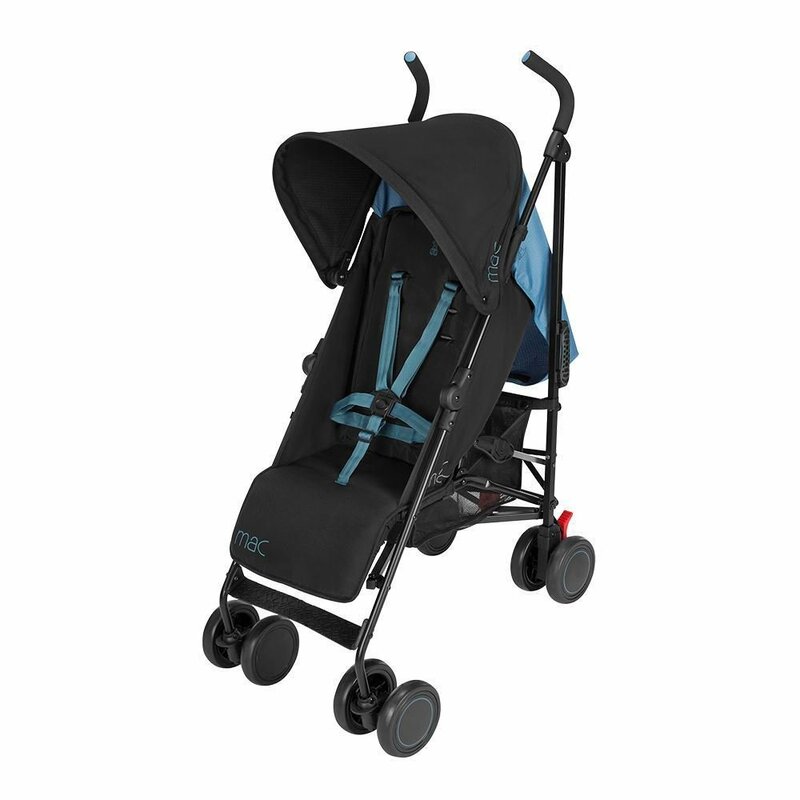 The aluminium frame makes this a very good travel pram for those quick journeys out to the shop. The design is simple, however, the focus with this model is convenience. It folds up with ease and can be taken down with one hand in a matter of seconds. In addition it takes up very little space and can easily fit in the boot of a small car. The seat offers a full recline position and for safety there is a 5-point harness. It also comes with a canopy for protection from the sun, that has a upf rating of 50+. Underneath the storage basket is not the biggest but more than ample for the essentials. 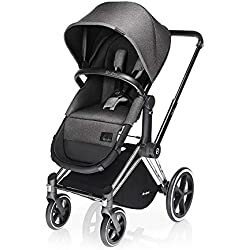 For a cheap option this is one of the best travel prams available and it comes with some good feedback from previous buyers. 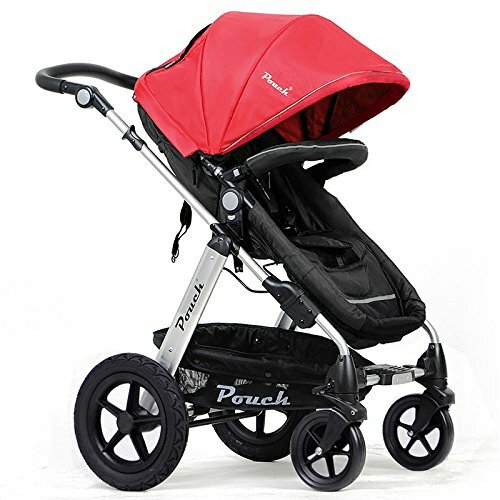 Stylish and very affordable the Pouch 2 in 1 stroller comes recommended as one of the best cheap prams in Australia. With a choice of five colour schemes to choose from and a lightweight design its easy to see why this is quickly becoming a popular model. 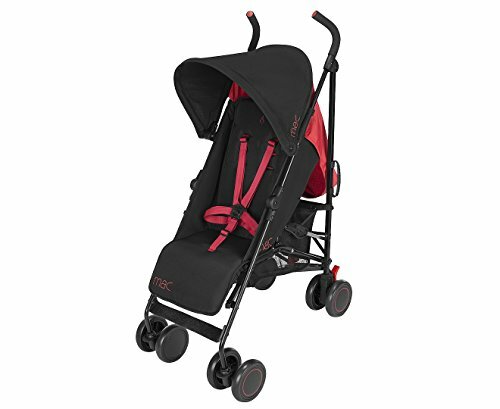 Suitable from birth to 3 years old this is a good choice for an everyday use pram. 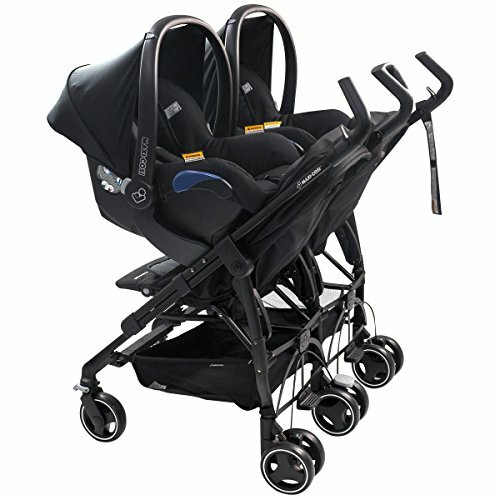 It comes with a bassinet for newborns and features thick rubber rear wheels for a comfortable journey for your child. The seat can be removed and the padding is extra thick for added comfort. In addition the seat is also reversible, which is another positive. The harness is a sturdy 5-point harness and provides a snug fit. The storage basket is quite large and can hold all the essentials and a few bags of shopping. Other features include a pram cushion and mosquito net. 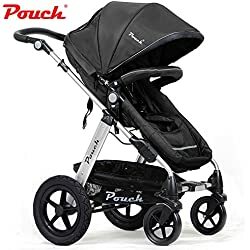 Ticking all the right boxes for a good budget pram, this one is well worth taking a look at if you are looking to invest in one of the best cheap prams Australia has to offer. 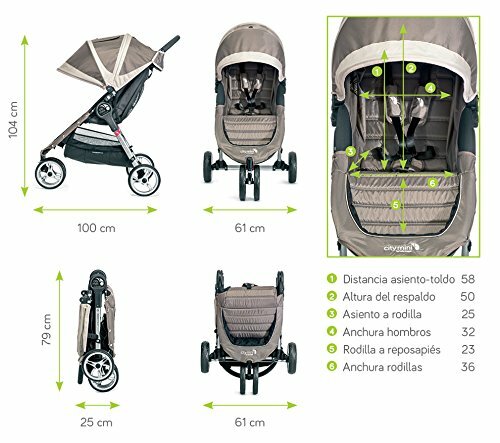 The Safety 1ST Verso Nest is a very functional pram that grows with your child. The seat has three recline positions and is suitable from newborn to four years old. In addition the seat can be both forward or rear facing. 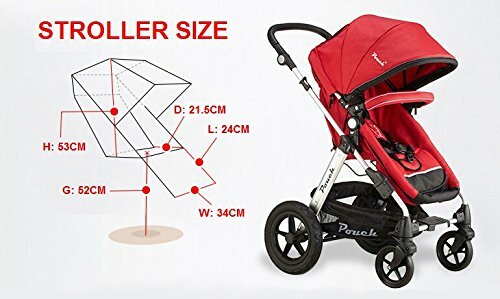 The overall design is quite compact and even more so when folded up, which is an easy task and like all good prams it can be done with one hand. 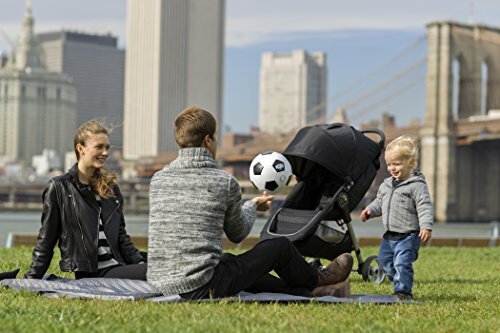 Featuring a standard 5-point harness and a good amount of padding in the seat you can be sure your baby is comfortable and secure at the same time. The seat liner has antibacterial protection and is also reversible which is a good feature. Other features include a large basket an extendable canopy and a raincover. 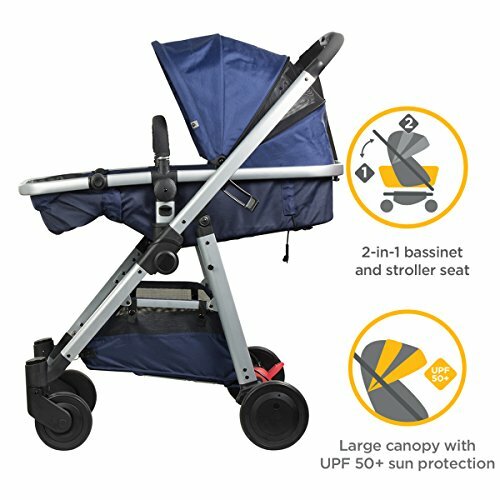 Safety 1ST are by no means the biggest or best pram brand in the world but they know how to make a very functional and practical pram. 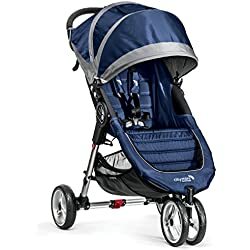 Lightweight and sturdy this is a good choice for those that are looking for a pram that can be used as their child grows. 4 Wheel Stroller with reversible forward & parent facing seat. 3 position seat recline, upright to flat. 2 in 1 Bassinet and Seat mode. Easy, one-handed compact self standing fold. 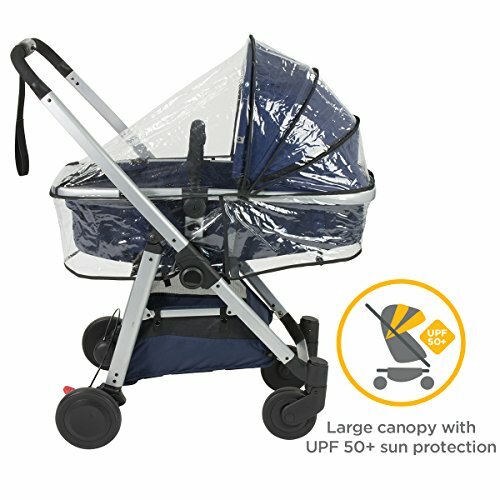 Canopy with UPF 50+ to protect baby from the sun. Extendable canopy with mesh to enable air flow. Includes Raincover to keep baby dry. Antibacterial protection on soft, reversible, seat liner. Large shopping basket. Newborn to 17kg (approx 3.5 years). 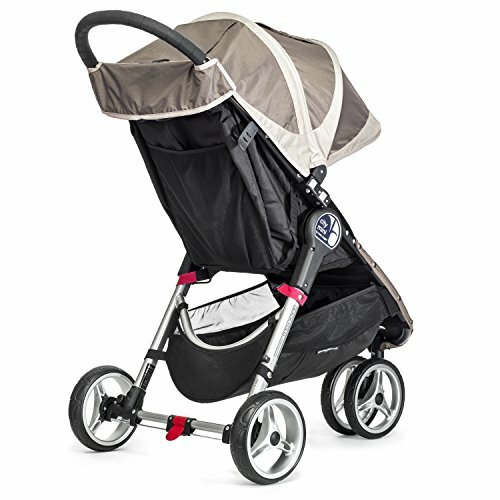 Baby Jogger are a brand with a reputation for making some of the best prams for running. 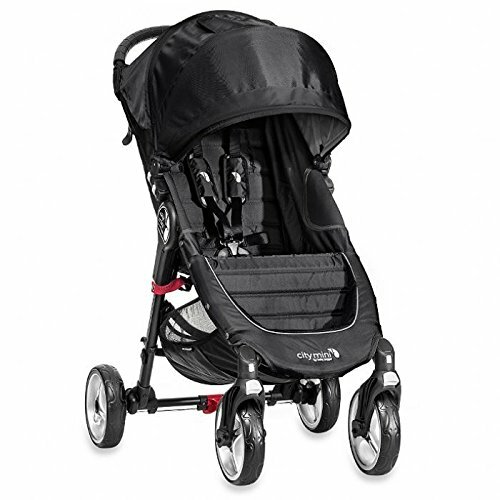 The Baby Jogger City Mini is one of the brands most popular four wheeled strollers and is not intended for running. 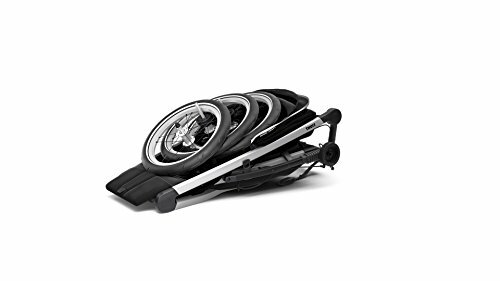 It is however, very lighweight in design and folds up easily due to the patented Quick-Fold technology, making it good for urban use. 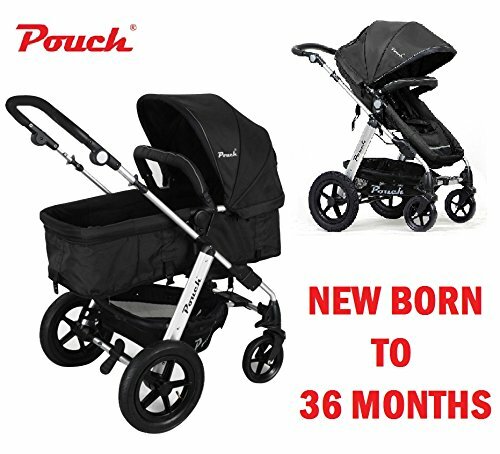 If its an affordable choice for an everyday use pram that grows with your child that you are looking for, this might be the one. Suitable from newborn to toddler and with a maximum weight capacity of 28 Kg it is very sturdy and robust. For safety it comes with a 5-point harness which has shoulder pads and a buckle cover for comfort. For additional comfort the front wheel suspension will help to ensure a smooth and comfortable journey. 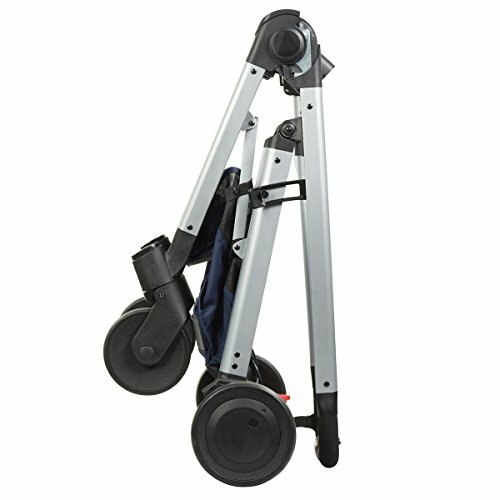 The wheels can be set to swivel for maneuverability or locked in place for long distance strolling. Other features include a large sun canopy and a good sized storage basket underneath. Furthermore there is a back storage compartment for baby essentials. It’s no wonder that Baby Jogger prams are so popular as they are high quality and very well designed. This model costs a bit more than the previous models mentioned in our reviews, however, the difference in overall quality is noticeable. The Goodbaby Qbit+ is the new and upgraded version of the popular Qbit pram. 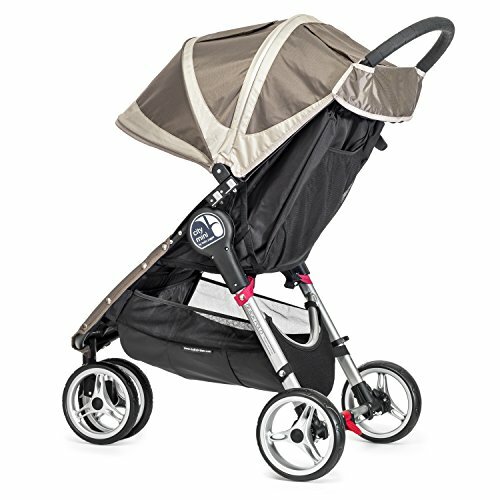 Featuring premium functions and designed for maximum convenience and comfort this super compact pram comes with good recommendations. 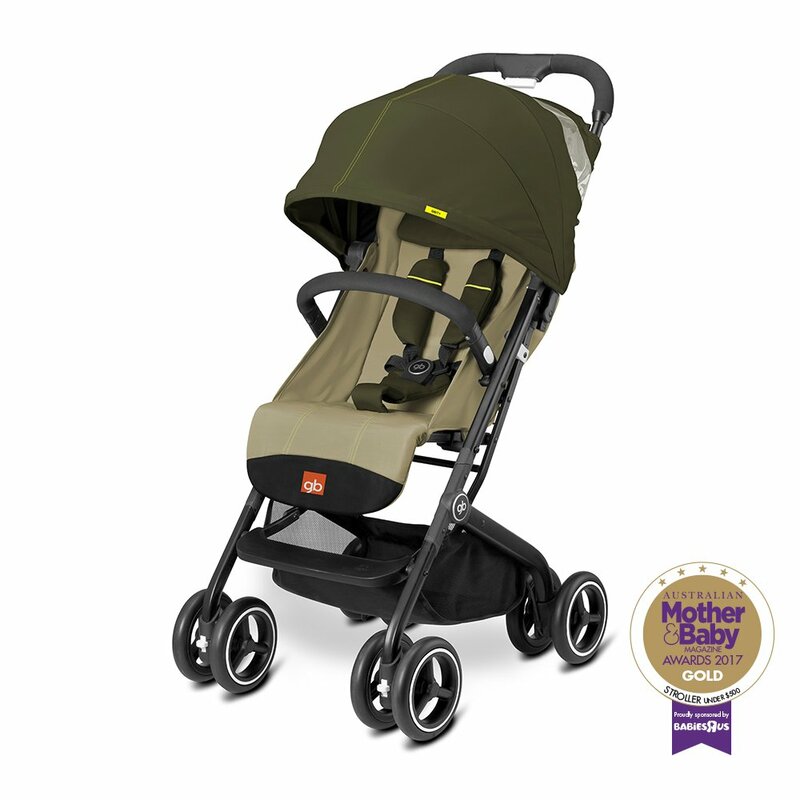 In 2017 it won a Mother & Baby gold award for best stroller. Featuring a reclining backrest with an almost flat position it is suitable from birth onwards. The spacious seat means your child will be comfortable, especially on those long journeys. For extra comfort there is a built-in head hugger which comes in handy when your child is sleeping. The Goodbaby brand obviously understand that there are times when you have to hold your baby and only have one free hand. Due to this they have designed the Qbit+ with this in mind. The folding mechanism has been designed to be easily operated with one hand. 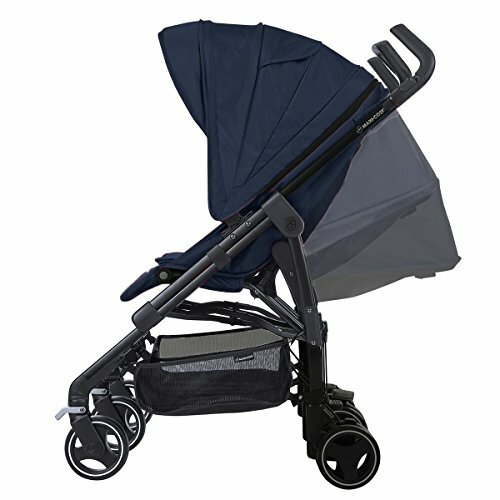 In addition due to the 8 large wheels that this pram has it can easily be steered with one hand. Another positive feature is that the Qbit+ is 3-in-1 travel system ready. A Cyber Infant car seat or the Cot To Go can be attached to the frame. There are plenty of travel strollers for sale in Australia, however, not all of them are of the best quality. 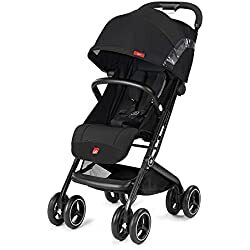 If you are looking for one of the best travel strollers at a reasonable price then the Goodbaby Qbit+ comes with good recommendations. The Cybex Priam is a very popular pram that looks stylish at the same time as being highly practical. It is suitable for newborns and thanks to the thick padding it will provide a smooth and comfortable journey for your little one. 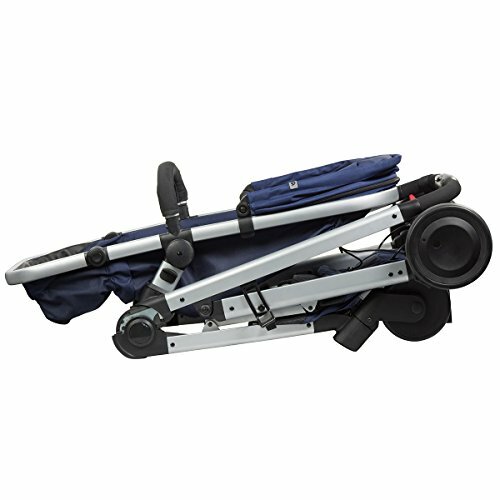 Due to it been a 2-in-1 pram it offers great versatility as it can be easily converted to a carry cot when needed. In addition there is the option of having the seat either front or rear facing, which is a plus. The padded straps are firmly fixed and secure and strapping your child in and out of them is a simple process thanks to the easy to use locking mechanism. For those hot days there is an extendable sun canopy for protection from the suns rays. Weighing in at a total of 5.8Kg this pram is very lightweight and is perfectly designed for ease of use. We all know how frustrating it can be when you have a few errands to do which involve getting the baby in and out of the car numerous times. With that been said the Cybex Prima is simple and quick to set up and securing your child isn’t a challenge. The main selling point of this pram is it’s practicality. 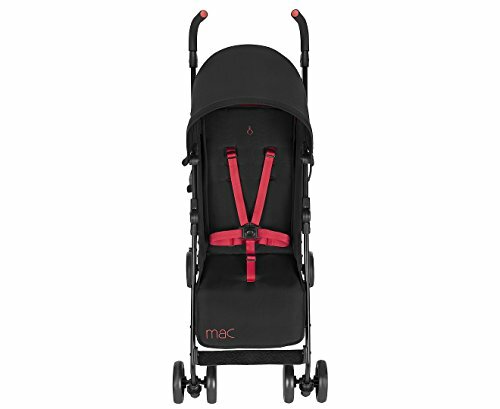 If you are a mum on the go then this pram is well-suited and worth taking a look at. 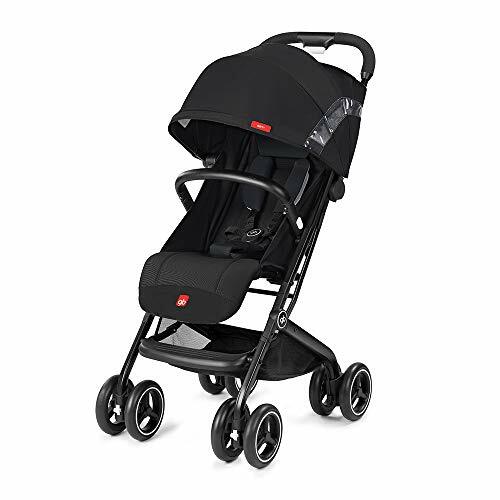 With so much information to consider before buying a pram you can see how choosing the best pram can be a daunting task. Hopefully with the help of our buyers guide and pram reviews you have managed to find the perfect pram for your needs. 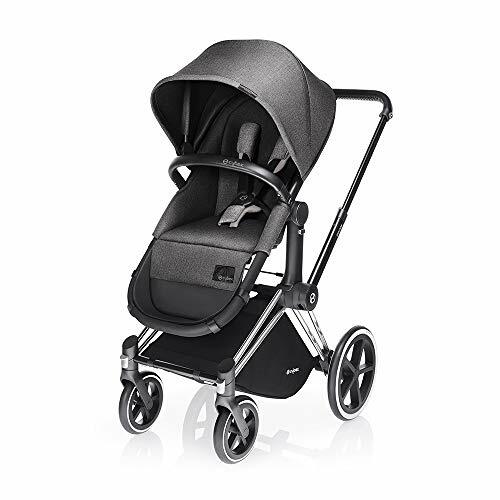 If you think there is any information we have forgot to include in our buying guide or a baby pram that you think is worthy of a place in our reviews then please leave a message in the comments.